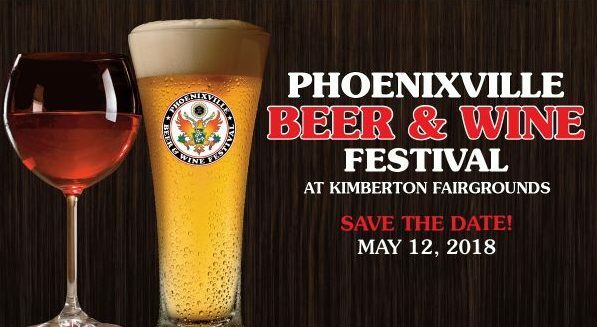 The second annual Phoenixville Beer & Wine Festival will be held at Kimberton Fairgrounds on Saturday, May 12, 2018. The event sold out in its inaugural year. Attendees can sample craft beers, wines, meads, ciders & spirits. Visitors will enjoy live music and browse among local artisans. Tasty food will be available from local restaurants and food trucks.